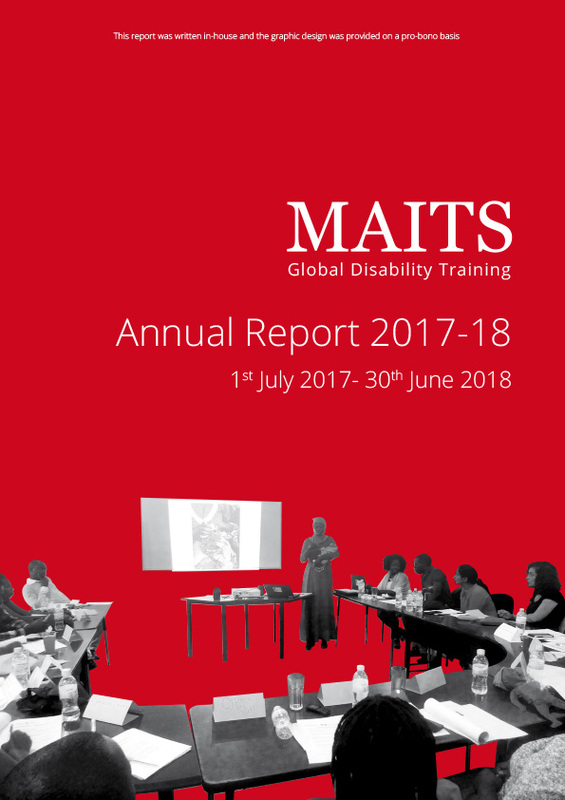 MAITS is an international disability charity which improves access to healthcare and education services by providing capacity-building to health and education professionals working in the mainstream and disability sectors in under-resourced countries. MAITS provides education, training and support for those working with and caring for persons with developmental disabilities such as cerebral palsy, autism and global learning disabilities to ensure they receive sustainable and inclusive support. MAITS is an international disability charity whose mission is to improve the lives of some of the world’s poorest people living with disabilities, through better access to and quality of health and education services and support. MAITS specifically supports people with developmental disabilities such as cerebral palsy, autism and learning disabilities in low-resource countries. We do this through a very small staff team, training consultants and a team of qualified volunteers from all over the world, who are experienced healthcare and education professionals. Our volunteers provide training and support to those caring for and providing health and education services to individuals with disabilities in community or institutional settings. We also have a small grants programme which enables training to take place in any location where there is a need globally. The aim is to enable individuals to reach their full potential, with improved health, well-being and quality of life through access to family support, quality healthcare and education. The WHO estimates that 15% of the world’s population has a disability, approximately 80% of whom live in the poorest parts of the world, where the vast majority do not have access to services provided by trained personnel. This has become a global health priority. Recent efforts to promote inclusion have not addressed the need for skilling up workers providing mainstream or specialist services to enable an ‘equal’ service to all. Training and resources to assist staff and caregivers are extremely scarce and largely unevaluated. Since 2008, MAITS has established itself as a go-to organisation for developmental disabilities in the sector and is unusual in that the focus has been almost exclusively on training and capacity building of professionals from a range of disciplines within the disability sector. Our work ties in very closely with the recommendations on training from the WHO. The training of healthcare and education professionals, community workers, families and carers– to better understand their conditions and build their skills and knowledge to ensure persons with disabilities have better access to and improved quality of services. The development of training materials and resources on disability – the training materials are tested out and adapted to the local context, and when needed, translated into the local language, to ensure high quality care for those with disabilities. Linking organisations that need training with those who are able to provide it– through our website and through our database of 208 volunteer therapists and educators. In addition to facilitating face-to-face training, MAITS has an ongoing programme of resource development, designing tools that assist in the support and inclusion of individuals with particular needs, whether it be at home, school or elsewhere in the community, in low-resource settings. These are available via the Resources page on the website.